You can create a symbol out of any artwork that you draw or import onto the stage. 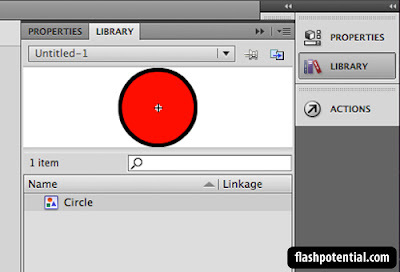 In this tutorial, we'll draw a simple circle shape, convert it into a symbol, and then edit that symbol. 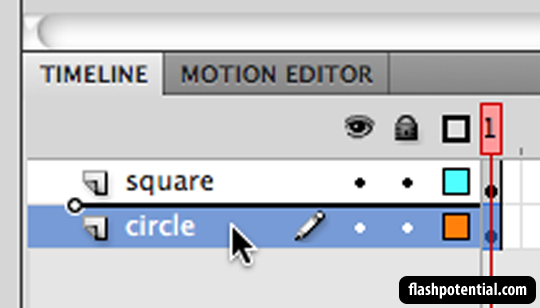 Select the oval tool and draw a circle on the stage. It can be in the merge drawing mode or object drawing mode. But I'll be drawing in the merge mode. Switch to the selection tool and use it to select the circle on the stage. Make sure that you select the ENTIRE shape. 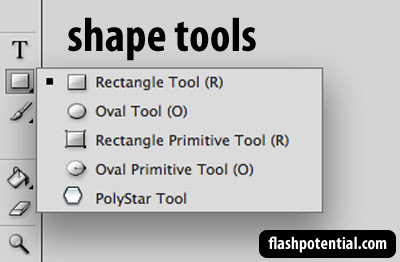 Once it's selected, right-click on the shape and choose Convert to Symbol. This will bring up the Convert to Symbol dialog box. In the Convert to Symbol dialog box, change the name of the symbol to Circle. 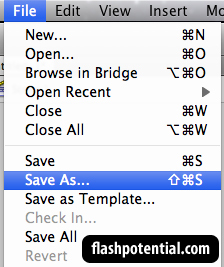 For the symbol type, click on the drop-down menu and choose Graphic. 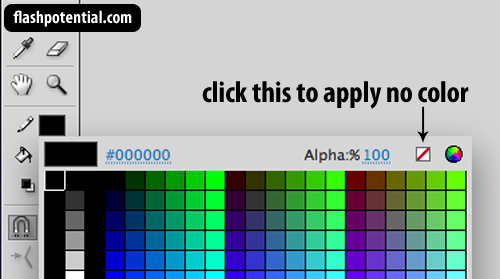 For the registration point, you can click on any of the nine tiny squares to select a point. We won't be discussing what the registration point is for in this tutorial, but for now, choose the center registration point by clicking on the tiny square that's in the center of all the tiny squares. The chosen registration point will turn black. The shape on the stage should now be converted into a symbol. Open up the library to check that your new symbol is there. If you can't find the library, you can go to Window > Library or you can press ctrl + L (PC) or cmd + L (Mac) on your keyboard. Add a few more instances of the symbol by clicking and dragging the symbol from the library down to the stage. In the image below, I've added a total of five instances to the stage. Let's make some changes to the symbol by editing it. In the library, right-click on the symbol and choose Edit. 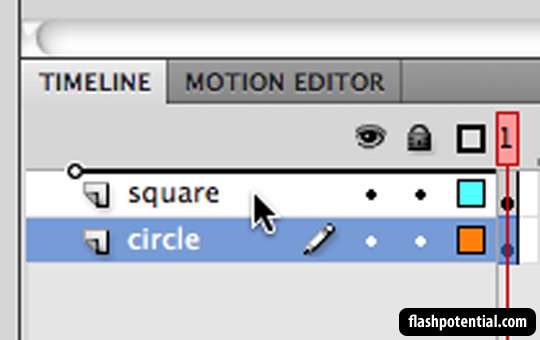 After clicking on Edit, take a look at the edit bar to make sure that you are inside the Circle symbol. The edit bar should say Scene 1 > Circle. 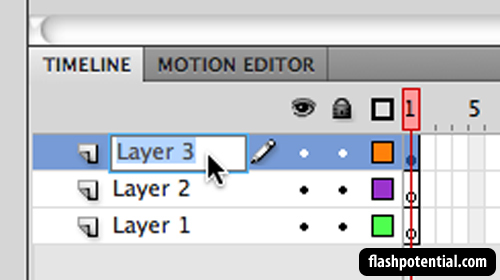 In the timeline, let's add another layer by clicking on the new layer button. So we should now have two layers. Remember! We are inside the Circle symbol so this means that the layer was added to the symbol's timeline and not the main timeline. Select the brush tool and choose a color that's different from the color of the circle. Then make sure that the new layer that you just added is the active layer, and then draw a smiley face on top of the circle. Go back to the main timeline by clicking on the Scene 1 link. You should see that all of the instances on the stage now have smiley faces. Congratulations! You've just created and edited your own symbol. Draw two circles on the stage. Convert each circle into a graphic symbol. 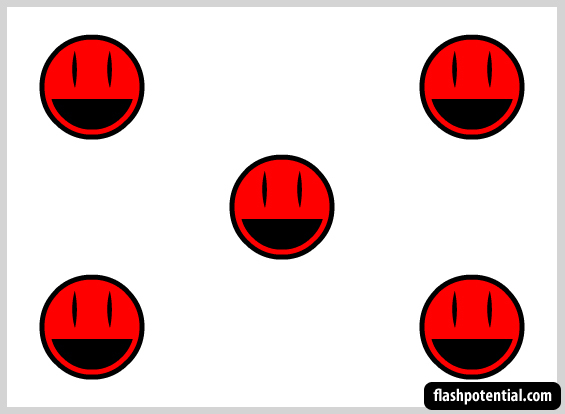 Go inside each symbol's timeline and draw a face on the circle. Use multiple layers to separate the parts (eyes, nose, lips, etc...) of each face. And that concludes this tutorial series on an Introduction to Flash symbols. Use graphic symbols for static artwork and animation that you do not plan on adding any interactive functionality to. The reason for this is that you'll need ActionScript to add interactivity, and graphic symbols are not designed to work with ActionScript. 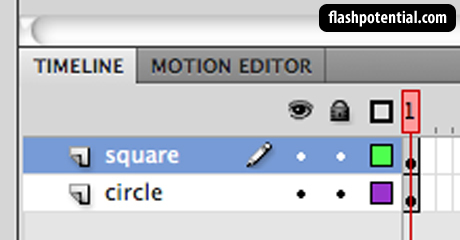 Use button symbols if you want to add mouse-related interactivity such as clicks and roll overs to your Flash movie. For example, you could create a button that plays a song whenever it is clicked. The movie clip symbol is like a combination of graphics, buttons and more. It can be used for static artwork and animation, but it can also be used with ActionScript so that interactive functionality can be added to it. But unlike buttons, movie clips are capable of much more than mouse-related interactivity. There's a lot more to learn about each type of symbol, but I will be covering them in later tutorials. For now, let's move on to the next part of this series where we will learn how to create a symbol from scratch. Whenever you create a symbol, it's automatically going to have it's own timeline. Inside a symbol's timeline, you can also add layers and frames the same way you would on the main timeline. Let's go ahead and take a look at the Car symbol's timeline. 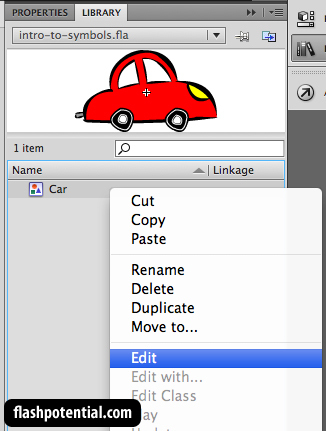 Before we access the Car symbol's timeline, let's first take a look at the edit bar found at the top of the document window. The edit bar tells you where you are in your Flash document. Right now, the edit bar says Scene 1, which means that we are on the main timeline. To access a symbol's timeline, we'll need to edit it. 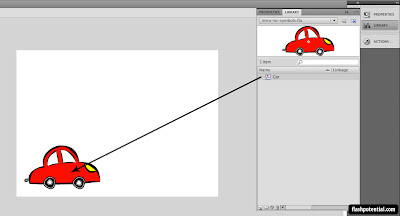 Go to the library, right-click on the Car symbol then choose Edit. After you click on Edit, take a look at the edit bar again. You should now see that it says Scene 1 > Car. 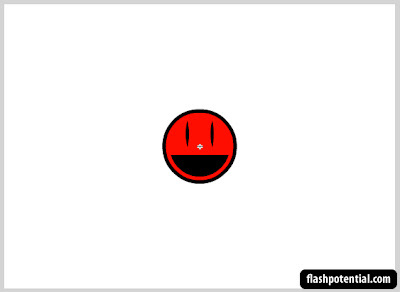 This means that we are now inside the Car symbol's timeline. So whatever changes that we make here will apply to the Car symbol. If we draw something on the stage, it will become a part of the Car symbol. If we add layers to the timeline, then those layers will belong to the Car symbol. If you look at the symbol's timeline in our exercise file, you'll see that it already has a couple of layers. When this symbol was created, the artwork was separated into different layers within the symbol's timeline. This means that the layers that you see here, they belong to the Car symbol's timeline and NOT the main timeline. It's not a requirement to use multiple layers inside a symbol's timeline, but you do have that option if you wish to make things more organized. Managing layers inside a symbol's timeline is no different from managing layers on the main timeline. You can add, delete, rename, move, hide, and lock layers just like you would on the main timeline. Let's make a small change to the symbol. 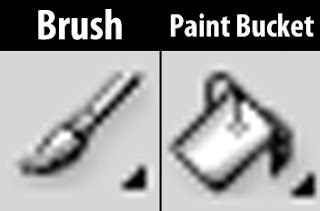 Using the paint bucket tool, change the color of the car's body. 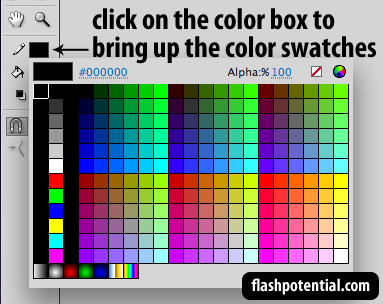 First, select the paint bucket tool, and click on the fill color box to select any new color that you like. 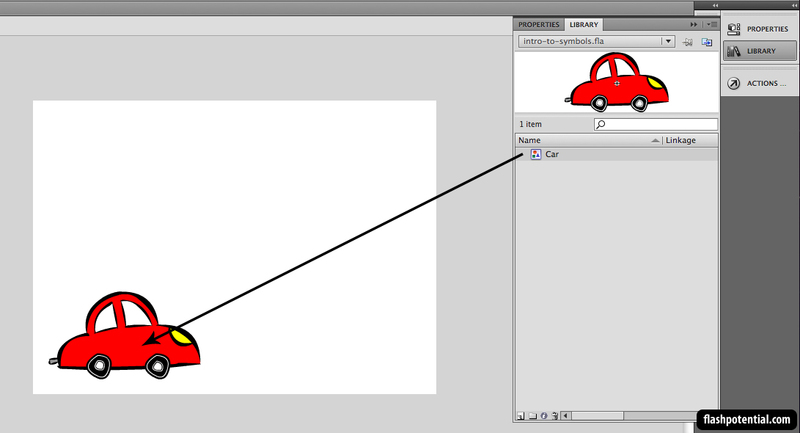 Then position the paint bucket tool over the car's red body and click on it to apply the new color. You don't have to worry about accidentally editing the contents of the other layers, because the other layers are currently locked. So now, you should have a new color for the car's body. After we've made changes to the symbol, let's now go back to the main timeline. To go back to the main timeline, click on the Scene 1 link in the edit bar. The edit bar now says Scene 1, which confirms that we are back on the main timeline. The timeline no longer shows the layers of the Car symbol's timeline, because we are now back on the main timeline. All three instances of the Car symbol have the new color applied to them. Because we edited the Car symbol and changed the color of the car, all the instances will reflect the same changes as well. Since the symbol is the master copy of all the instances, making changes to the master copy affects all the instances that exist in the Flash document. This is another benefit of working with symbols, if you decide to make changes to the symbol by editing it, then all the instances will reflect the changes, thus helping you save more time. In the next part of this tutorial series, we'll take a quick look at the different types of symbols. 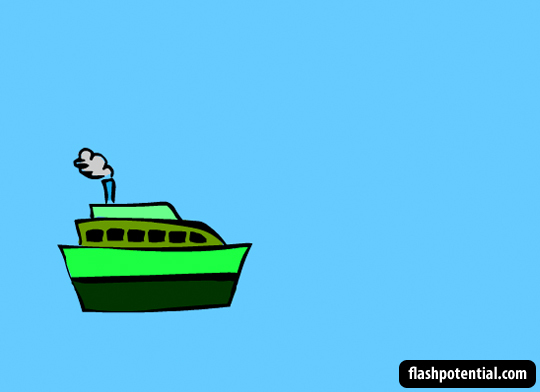 In this tutorial series, we're going to learn about Flash symbols. 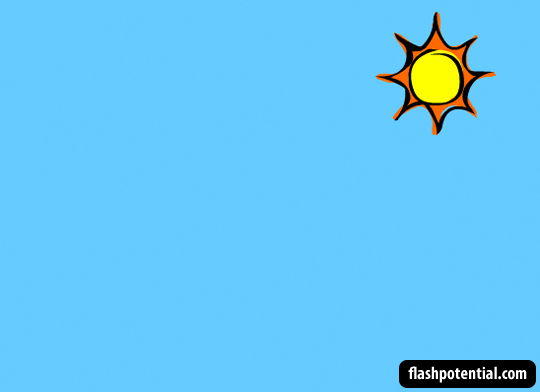 What is a Flash symbol? 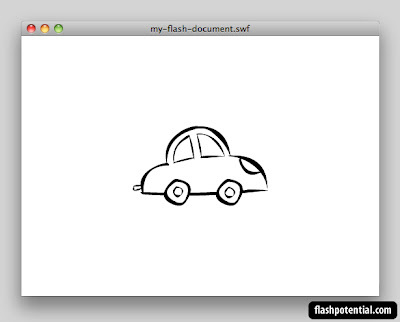 In Flash, a symbol is a reusable object that is stored inside a Flash document's library. For example, you can draw a shape and then convert it into a symbol. Once converted, it gets stored in the Flash document's library. Then from the library, you can easily make multiple copies of the symbol without having to recreate it. You can turn anything that you draw into symbols. You can also import graphics from other sources and turn those into symbols as well. Let's learn more about symbols by working on an existing example. In this first part, we'll take a look at a symbol that's already been created for you. 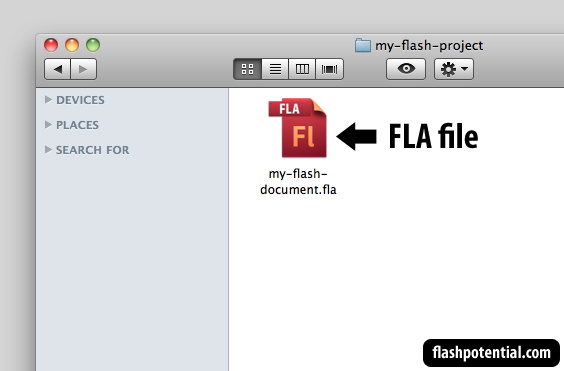 Open up the intro-to-symbols.fla file. When the file launches, you won't see the symbol yet. Just move on to step 2. Switch to the Small Screen workspace so that your layout becomes similar to the layout in the screenshots in this tutorial. This will help you follow along more easily. To switch to the layout, go to Window > Workspace > Small Screen. Then go to Window > Workspace > Reset 'Small Screen'. Open up the library by clicking on the library panel icon. 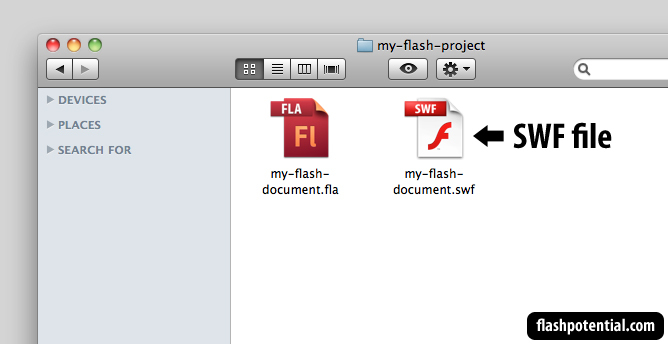 This will bring up the Flash document's library. Inside it is a symbol named Car. Click on the name in order to see the symbol in the library's preview window (the preview window is that white area below the Library tab, and it's where you'll be able to preview what the symbol looks like). DO NOT DOUBLE-CLICK ON IT. JUST CLICK ON IT ONCE IN ORDER TO SELECT IT. This symbol was created from artwork that was drawn on the stage using the drawing tools. The artwork was then converted into a symbol and it was given the name Car. To use the symbol, click and drag it from the library down to the stage. Once you release the mouse, you should see the car on the stage. This car that you see on the stage is simply a copy of the symbol from the library. It is referred to as an instance of the symbol. If the instances on the stage are copies, then you can think of the symbol in the library as the master copy. So if you delete the master copy in the library, then all the instances will disappear. However, if you delete an instance on the stage, the master copy in the library remains. You can add multiple instances of one symbol onto the stage. This is what it means when we say that symbols are reusable. You only need to draw them once, and then you can add them to your Flash movie as many times as needed. 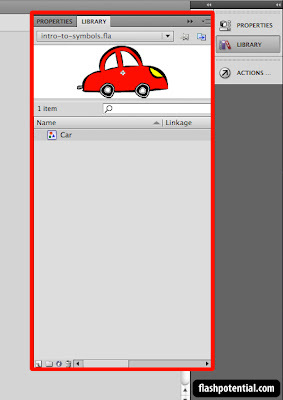 To add more instances of the Car symbol, just click and drag more instances from the library onto the stage. Let's add two more instances. This is one of the main benefits of working with symbols - you only need to create it once, but you can reuse it multiple times, so you end up saving time. 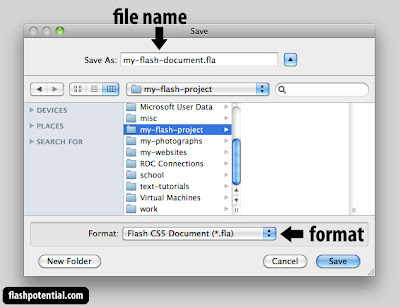 Using symbols also helps save file space since multiple instances only come from a single copy. 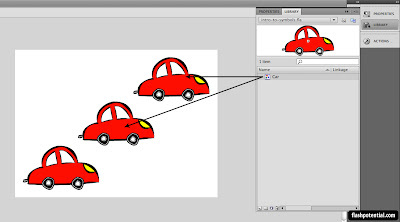 If, instead of using symbol instances, you decided to redraw the car three times, you would actually end up with a SWF file that has a larger file size. And that concludes the first part of this tutorial series. In the next part, we'll learn about the symbol's timeline. Each symbol that you make has it's own timeline where you can also add layers and frames. We'll take a look at how to access that timeline in the next part. The timeline, pictured below, allows you to separate your artwork into multiple layers. In the image below, you'll see that this timeline has 3 layers, each with a generic label - Layer 1, Layer 2, and Layer 3. In this tutorial, we'll learn what layers are all about. Think of layers as separate sheets of transparent paper that you can draw on. Let's take a look at the images below and imagine that each image is a separate layer that has been drawn on. The way layers work is that they are placed on top of each other to create the illusion that everything was drawn on one sheet. But in reality, they're all on separate layers. The image below shows how the layers above will look like if they were all stacked together. It looks as if it's just one image, but in reality, we will be able to work on each layer separately. This is the benefit of working with multiple layers. Flash has features that allow you to lock and hide other layers so that you can focus only on the layers that you want to edit. 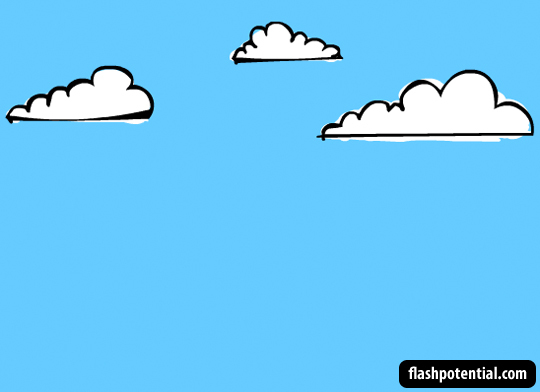 Knowing how to work with layers will really help keep your Flash project more organized. By default, your timeline will already have one layer when you create a new Flash document. To add another layer, click on the new layer button at the bottom of the timeline. Each time you click on the new layer button, one layer is added to the timeline. In the image below, there are 3 layers. To delete a layer, you must first click on it in order to select it. In the image below, I clicked on layer 2 in order to select it. 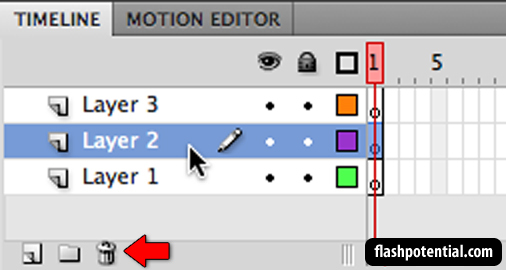 Once the layer is selected, click on the trash can at the bottom of the timeline in order to delete the selected layer. Once you delete a layer, all of its contents are delete along with it. 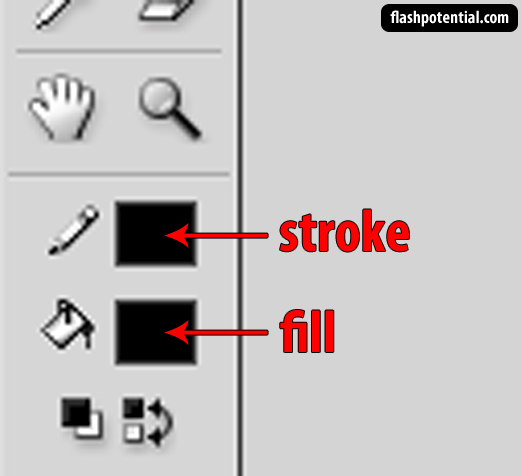 To draw on a layer, you must make sure that it is selected by clicking on it. 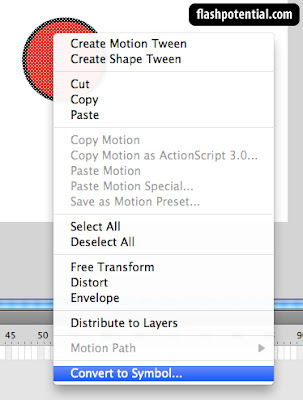 In the image below, layer 3 is selected and is therefore the active layer. You'll know that the layer is active because it's highlighted. Once the layer is selected, you can then proceed to draw on the stage. Anything you draw will be placed in the active layer. 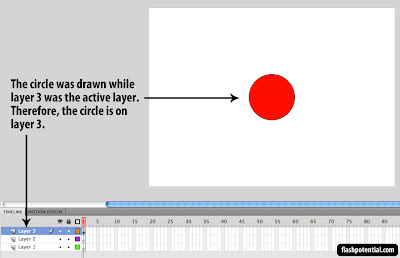 In the image below, the circle was drawn while layer 3 was the active layer. So this means that the circle is on layer 3. 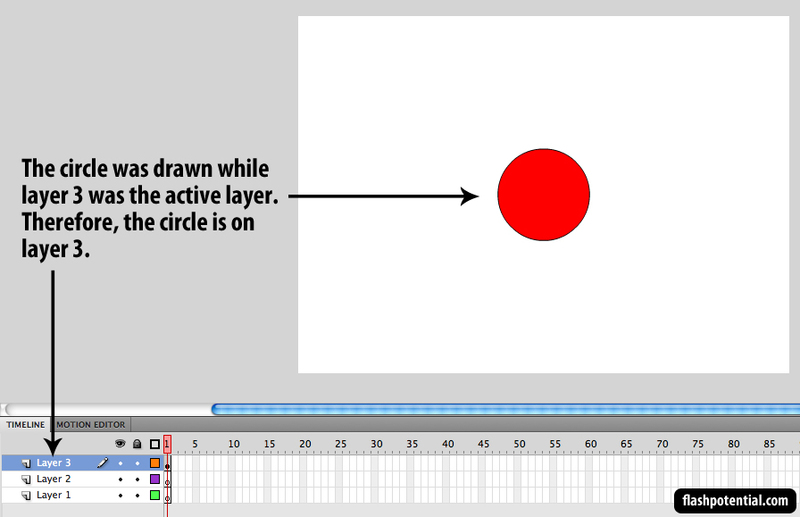 If you wish to draw on layer 2, then make sure that you click on layer 2 in order to make it the active layer. Then proceed to draw on the stage once the desired layer has been selected. 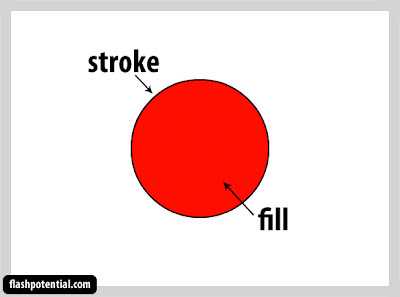 NOTE: Always be mindful of which layer is currently active. 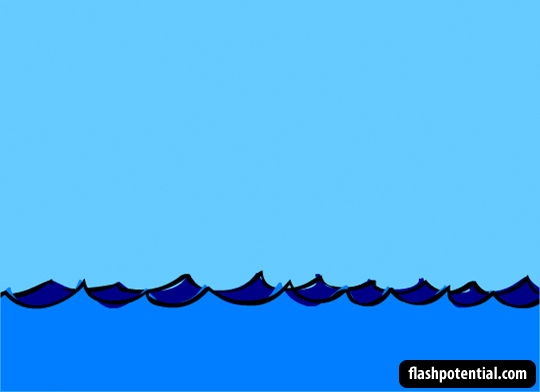 It's quite common for Flash users to make the mistake of drawing on the wrong layer, so always check the timeline to see which layer is highlighted. 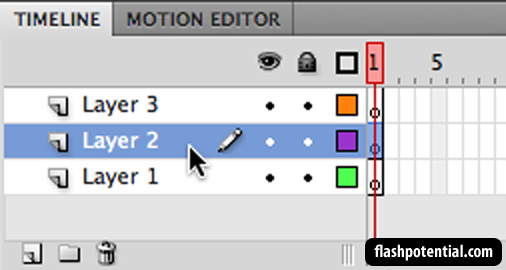 To rename a layer, position the mouse pointer on top of the layer name, and then double-click it in order to make it editable. Once the text is editable, type in the new name and hit the enter (PC) or return (Mac) key. It's a good idea to make the layer name descriptive of the layer's contents. 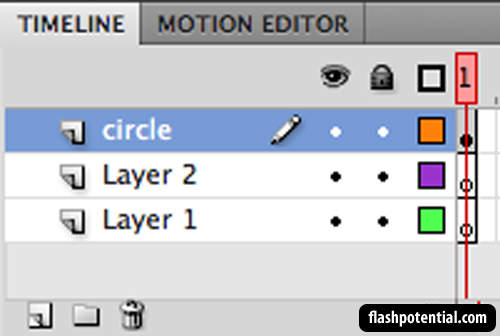 If the layer contains a circle shape, then you might want to consider naming it circle as well. Using descriptive names will make layers easier to find and manage. Imagine having 100 layers named layer 1, layer 2, layer 3, all the way up to layer 100! That's going to make it difficult to find which objects are on which layers. In the image below, there are two shapes on the stage - a circle and a square. 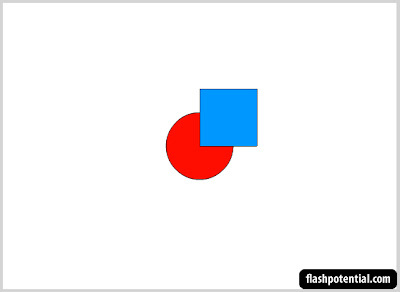 The circle is at the back, and the square is in front of it. Each shape is on its own layer. The square shape was drawn on the layer named square, while the circle shape was drawn on the layer named circle. 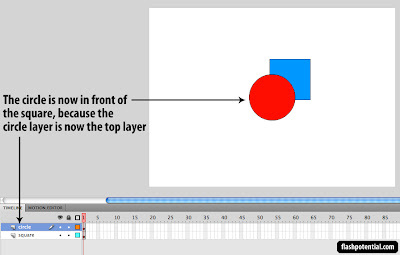 Here, you see that the circle layer is below the square layer. That is why the circle appears behind the square on the stage - the contents of the lower layer always appear behind the contents of the higher layer. To move a layer, simply click and drag it. Drag up to move it higher or drag down to move it lower. Once you start dragging, you'll see a black bar appear on top of the selected layer. 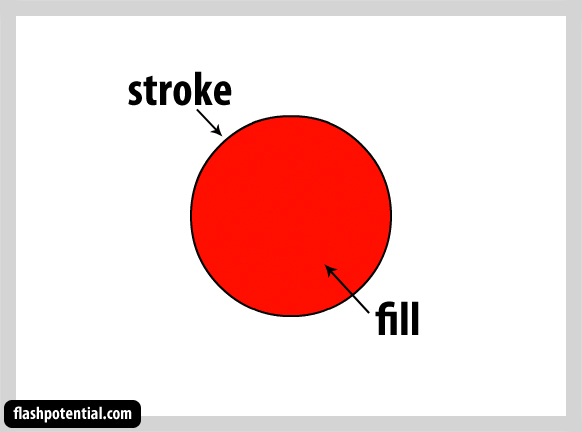 In the image below, I clicked on the circle layer and began dragging upward. If you keep dragging higher or lower, then that black bar moves higher or lower as well. In the image below, I continued to drag upward so that the black bar is now on top of the square layer. So when I release the mouse, the circle layer will now be on top of the square layer. And on the stage, the circle will now appear in front of the square. 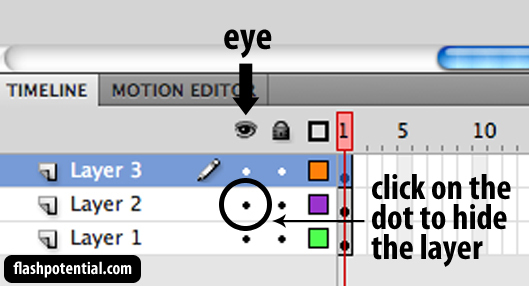 If you want to hide a layer and all of its contents, look for the eye icon and click on the dot that corresponds to the layer that you want to hide. Once you click on the dot, it's going to be replaced with an X. This means that the contents of that layer are no longer visible. To make them visible again, click on the X to bring back the layer's visibility. The X will turn back into a dot. 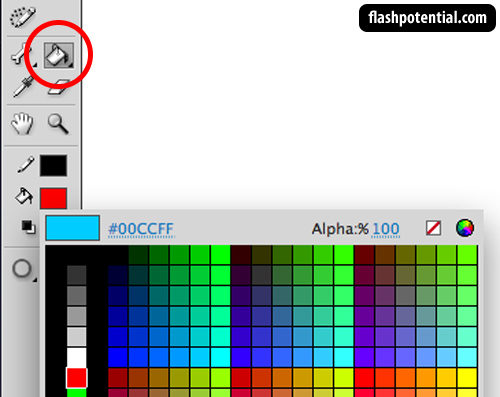 To hide all your layers at once, click on the eye icon itself. Then click on the eye again in order to make all the layers visible again. TIP: If you hold down the alt (PC) or option (Mac) key while clicking on a dot, it's going to make all the other layers invisible instead, so that only the layer that you clicked on will be visible. Beside the eye icon is a lock icon. 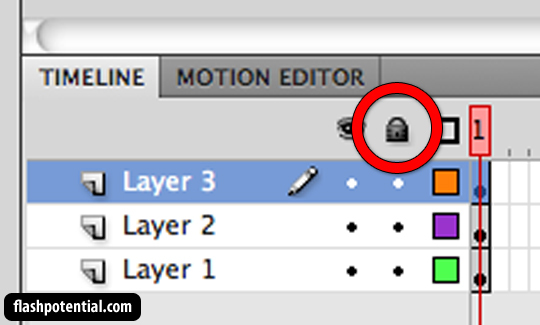 Clicking on the dots under this column will allow you to lock the layers. When a layer is locked, you won't be able to edit its contents. They will still be visible but they will be protected from any form of editing. You won't even be able to select the contents of a locked layer. 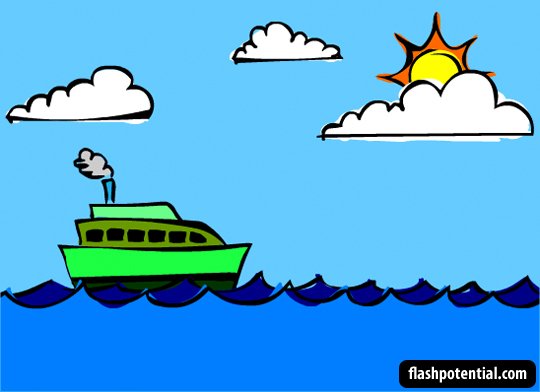 Working with multiple layers may take a bit of getting used to, but the benefits of working with layers will help keep your Flash project more organized.